Laura and Ellen met in 1994 in the BMI-Lehman Engel Musical Theatre Workshop. They soon discovered that they shared musical sensibilities – and a sense of humor. While in the workshop, Laura began work on an adaptation of a beautiful and poignant short story, “A Letter To Harvey Milk.” Ellen became a great supporter of Laura’s work, and in 2005 they decided to collaborate on the project. The composer of several choral works, art songs, and arrangements, Laura’s choral compositions have been performed by choruses in the U.S. and Canada. The Skidmore College Music Department commissioned her to write a commemorative choral piece, A Musical Instrument. 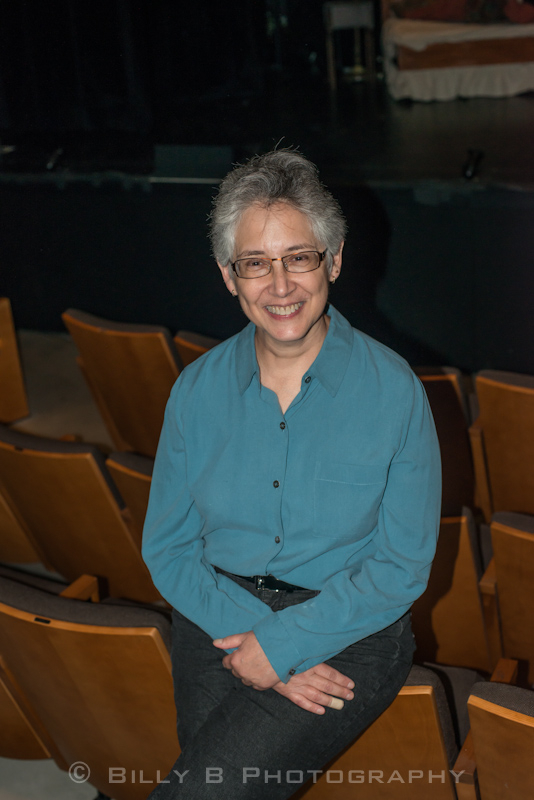 Studies include choral composition with renowned composer Alice Parker, an MA in Music Theory and Composition from Montclair State University, and a B. S. in Music from Skidmore College, where she received the Herman Josephs Muller Prize in Music. Laura has conducted a women‟s chorus, managed a contemporary music series, and worked for non-profit theatre and music organizations. Professional affiliations include ASCAP, Dramatists Guild, and GALA-Choruses. The finale of A Letter to Harvey Milk, directed by David Schechter. Pictured are Sarah Corey, Ravi Roth, Cheryl Stern, Jeff Keller, Leslie Kritzer, Michael Bartoli and Michael Padgett.